The past couple of weeks have seen many reports on the subject of reshoots on the upcoming Justice League movie. It was reported a few weeks back that Joss Whedon's reshoots were costing the studio an additional $25 million dollars and taking much longer than a movie would typically take while filming reshoots. Speculation then started about whether or not Joss Whedon will be getting a directing credit on the project along with Zack Snyder. Ben Affleck recently said that Justice League is "the product of two very different directors" and we recently learned that much of the reshoots were an attempt to reshape how Ray Fisher's Cyborg character appears in the movie. If you're still keeping up, it now appears that Whedon has changed the ending of Justice League. SlashFilm's podcast host Peter Sciretta has shared the new rumor that Whedon has altered the way that the story ends. 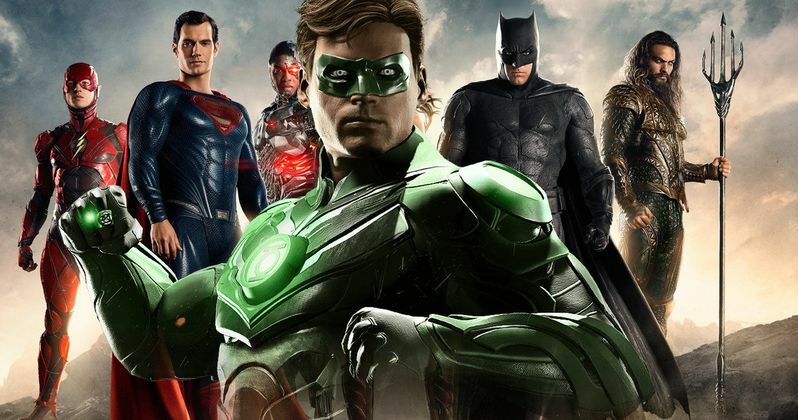 According to the new rumor, Justice League will no longer end on a cliffhanger, and will de-emphasize parts of the story that refer to the arrival of Darkseid on Earth. There are also rumblings of a flashback scene involving Robin Wright's General Antiope character from Wonder Woman as well. Sciretta described the elements that have reportedly changed in more detail on the podcast. He explains. "The original ending of the movie from what I understand was that he was kind of playing the Silver Surfer role and Darkseid playing kind of the Galactus role, and the ending of the movie was a cliffhanger and Justice League 2 was going to be Justice League vs. Darkseid. Darkest arrives at Earth. It was kind of like this down, dirty ending and from what I understand that has been completely removed. The ending ends the movie like a movie and it doesn't leave a cliffhanger now. They did a reshoot with Robin Wright from Wonder Woman and that's gonna be a flashback explaining who Steppenwolf is and he's now the big bad of this movie whereas Darkseid was this looming threat who won't come." It appears that Darkseid will be taking a backseat for the movie and that Steppenwolf will be the main villain, which makes a whole lot of sense. Maybe changing the emphasis on villain and taking away the cliffhanger is as insurance policy if the movie doesn't do well enough to warrant a sequel? We'll have to wait and see, but there certainly is a lot of conflicting information regarding Justice League. Both officially and unofficially. Sciretta does go on to indicate that he personally does not believe that the changes in the movie from the reshoots are indicative of a production in shambles. Rather, he believes that the changes were purely creative and made strictly to better the movie and carry the story as Snyder originally intended. But at the same time, Justice League was intended to be a 2-part movie, leading up to a battle with Darkseid. But it now appears as if the foreshadowing for that particular character is taking a backseat along with the dropping of "Part One" from the movie's title. Hopefully the changes are for the creative betterment of making a standalone movie. After all, we are about to see a lot of action between many characters in one movie, so it might be better to focus on the current movie as opposed to it just being a bridge to a sequel that may or may not even happen at this point. Justice League will hit theaters on November 17th, 2017 and one can be certain that it will be analyzed intensely after all of the reported turmoil surrounding the production.